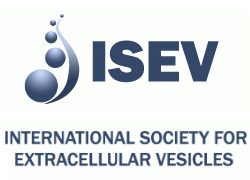 Meet Apogee at ISEV2018, Barcelona, 2-6 May 2018. Location: Palau de Congressos de Barcelona, Fira Montjuic. The Congress will be held at the Prague Congress Centre. 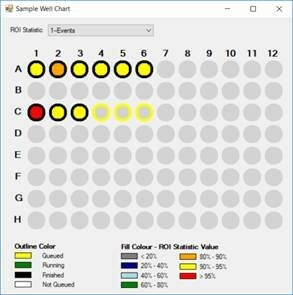 Apogee Histogram Software version 255.0.0.148 will be released in February 2018 with new 96-well plate data management features. Apogee now offers a choice of four installed laser lines from 375nm, 405nm, 488nm, 552nm, 561nm and 638nm. Other commercially available colours are available on request. 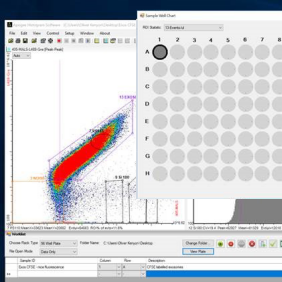 Apogee is sponsoring CYTO 2017 at which the Micro-PLUS flow cytometer will be exhibited and Apogee will present its recent work on a novel light scatter calibration method: "Particle Size and Refractive Index derived from Three Dimensional Light Scatter Data"